What did I find in my mailbox today? 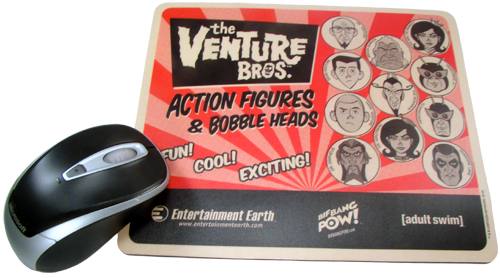 A Venture Bros mouse pad! Oh, also a complete set of Mattel's Retro-Action Ghostbusters and Captain Cold from Retro-Action DC Superheroes series 3, but I'll show those off later. The mouse pad was a free gift with my order. 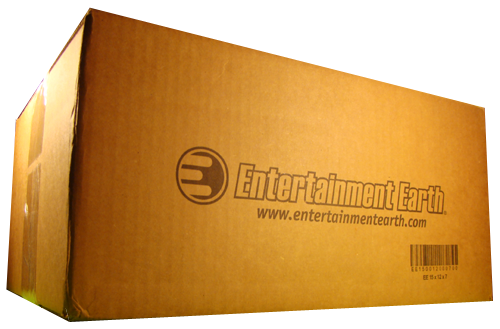 Just another reason that whenever possible, Entertainment Earth will get my business. Their new catalog mentions a Twilight Zone mouse pad, so if you prefer a more authentic nostalgia, EE has you covered there as well.